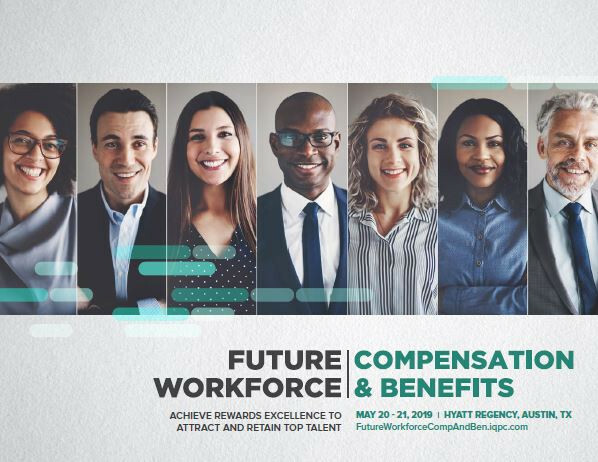 Join us May 20-21 in Austin, TX for The Future Workforce: Compensation & Benefits Summit. Learn from real-life case studies and senior thought leaders on how to boost engagement and productivity and enhance the Employee Value Proposition by solving two of the key challenges facing organizations today: Achieving Pay Equity and Engaging a Multigenerational Workforce. Fill out the form to take a look at the official agenda or email enquiryiqpc@iqpc.com for a copy sent to your inbox.